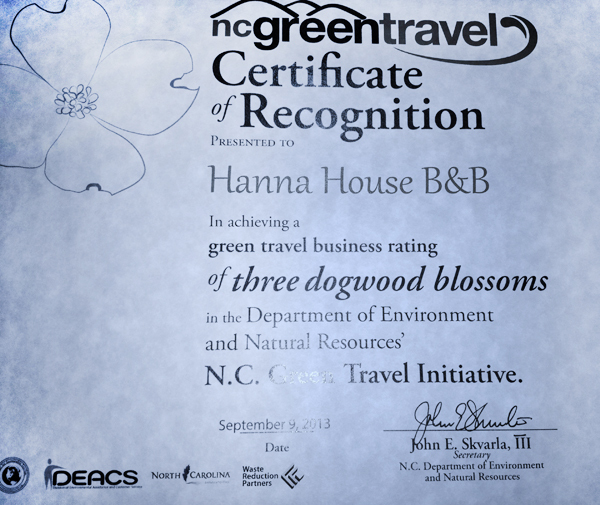 Hanna House Bed & Breakfast has recently been recognized by “ncgreentravel” as a three dogwood blossom accommodation. At a time when protection of our environment has increased in importance, tourism, the largest consumer of natural resources in North Carolina has stepped up to the plate. We are proud to have achieved its highest rating.